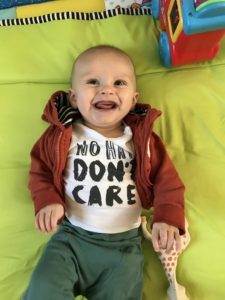 Last month, Ioan had found his voice and started screaming. 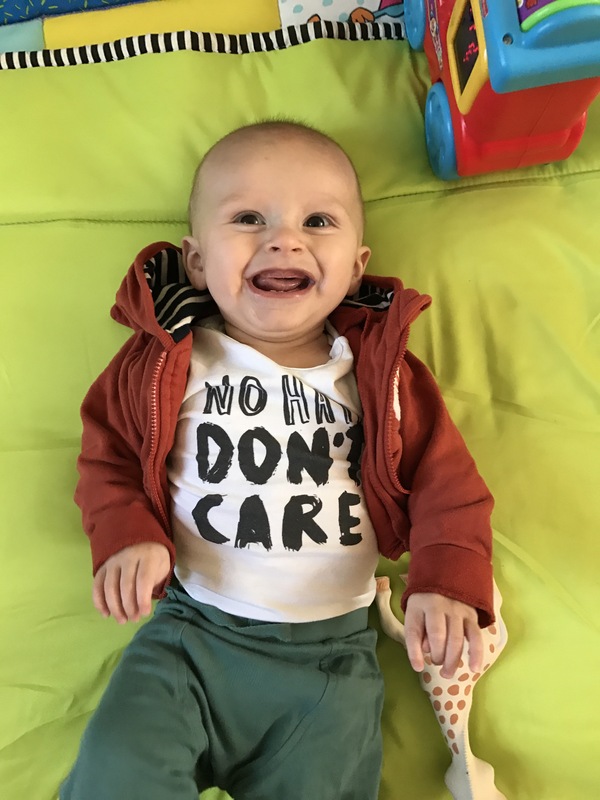 This month the screaming has continued but has also accompanied huge giggles – and it’s such a joy to see his face light up as he laughs and laughs. It makes up for the crying, which has been a bit more frequent recently due to the addition of his first two teeth. 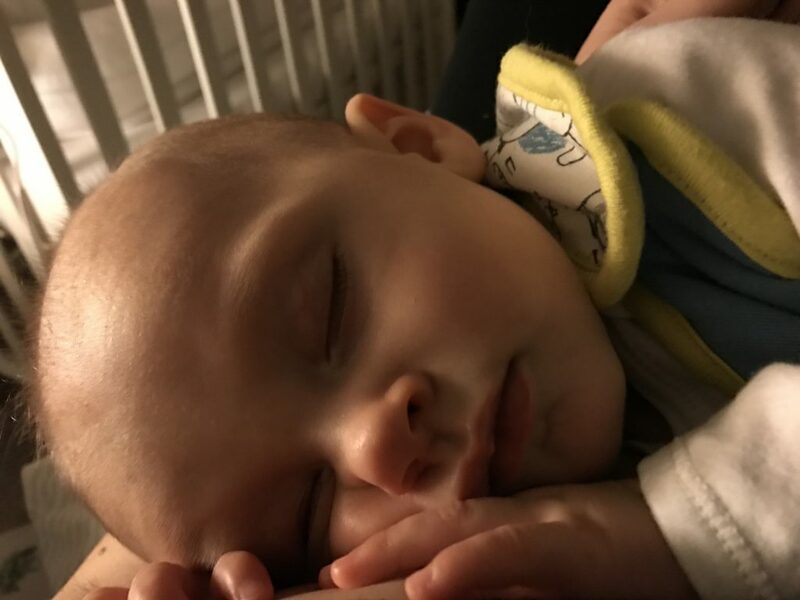 As I write this today, on the eve of his 6th month, both bottom teeth have cut through and he’s a much happier little man. He’s also loving blowing raspberries, which makes us chuckle as well. 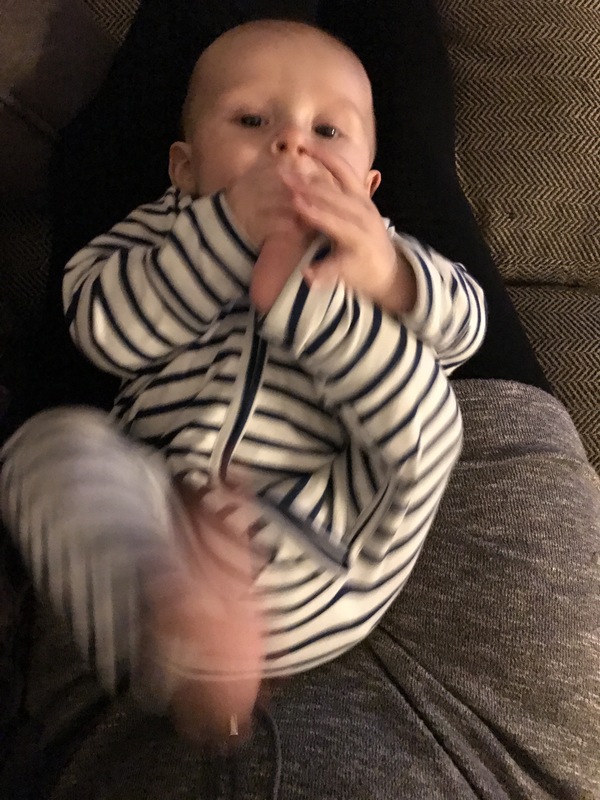 The raspberries that come out of his bottom end are not such fun – now that he’s moved onto solids his nappies are increasingly toxic and horrific – especially if any of the contents escapes (we have had more than a few poonamis to contend with). The teething situation was hard work as Ioan’s sleep regressed to what felt like newborn levels (and therefore we ended up broken from lack of sleep). However, looking at his angelic little face as he slept on me after a feed has melted my heart and made it all worthwhile. Although food has continued to be good fun for him, some of it is actually getting into his system as well. Current favourites are sweet potato, courgettes, spinach and parsnips. This week I’ll be starting him on meat, fish and dairy as well, and the meal planner in me is very excited! 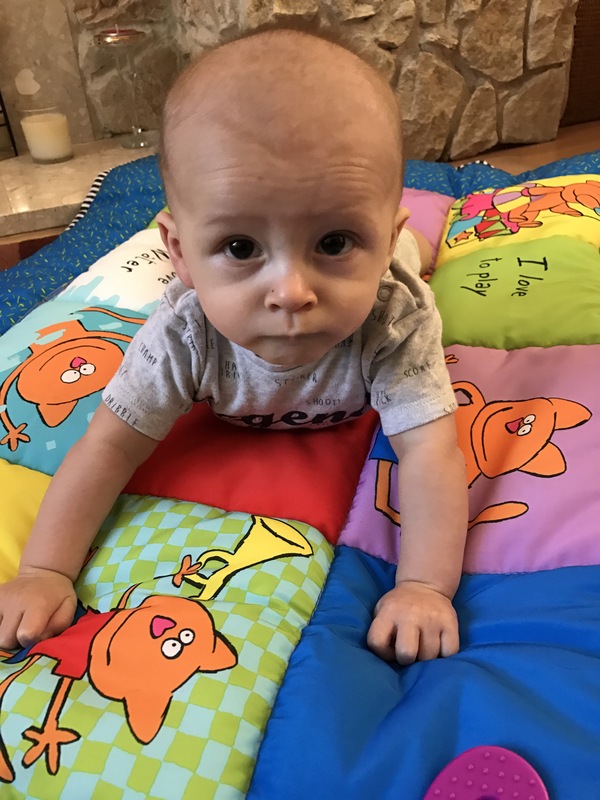 Of course milk still makes up the majority of his nutritional needs, and I am delighted to have been able to breastfeed him for his first six months, which was my ambition when I found out I was pregnant. 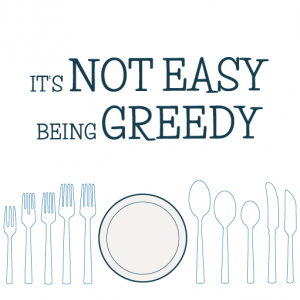 As it’s so easy for me, and comforting for him (not to mention the benefits of breastfeeding), I’ll be continuing to feed him myself (I just hope he doesn’t decide to test out his new teeth on me!). 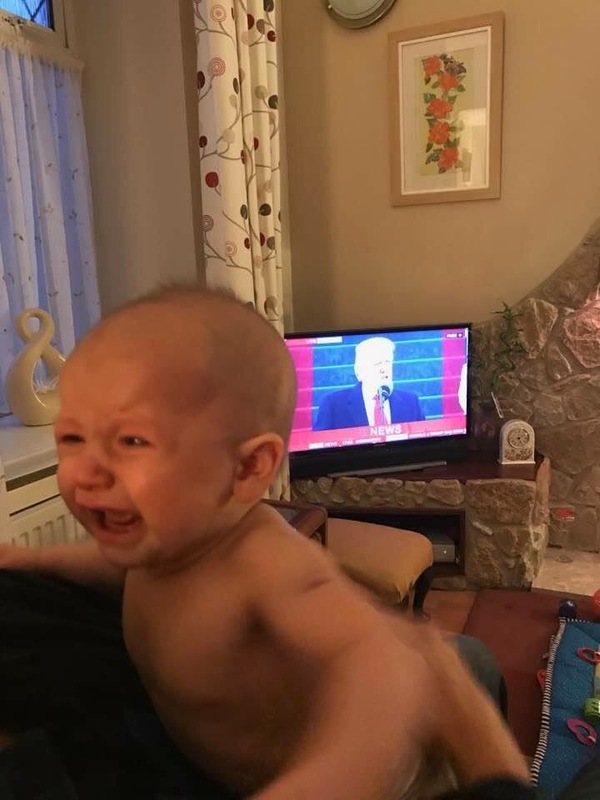 However, he does love his sippy cup, so at least we know that’s an alternative way to get liquid into him without him screaming his head off in outrage. He also really enjoys eating his feet. 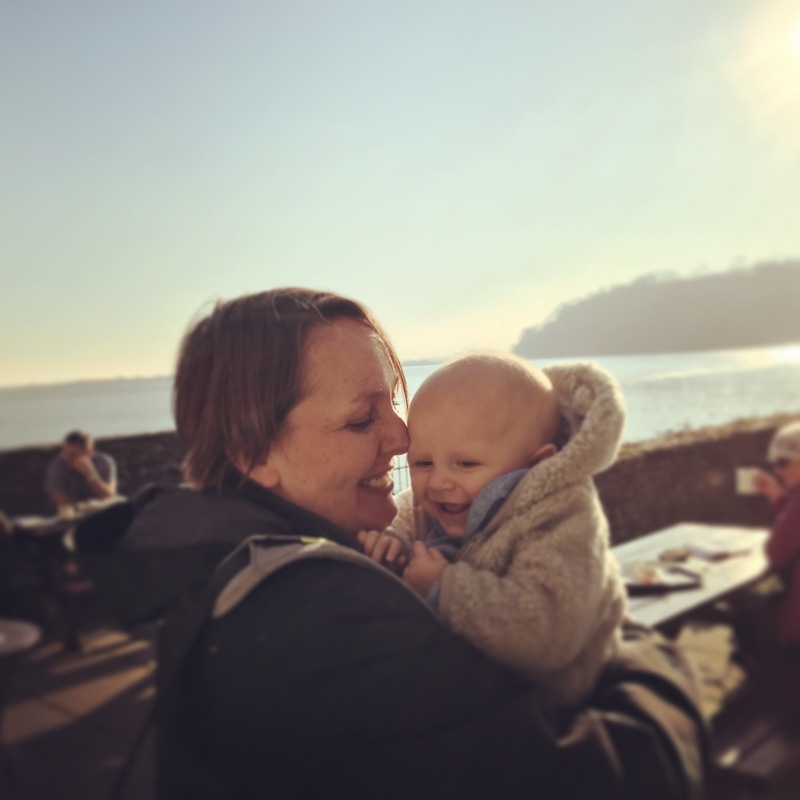 Maternity leave continues to be a real pleasure for me – spending time with Ioan is exhausting but such fun, and watching him develop and grow fills us both with such happiness. Now that evening colic is a thing of the past, he’s in the perfect mood to spend quality time with Andrew when he gets home from work, leaving me the time to prepare dinner for us. For us both, sleepy cuddles with Ioan are a thing of joy, and he seems to love us as his temporary bed as well. It’s hard to imagine life without Ioan, but also a shock to realise how quickly these months have flown. Someone told me when we first brought him home that life with a baby is long days but short months, and that is the truest thing I have ever been told.